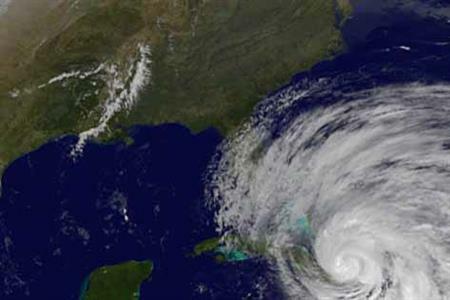 Google has cancelled its Android event, due to be held today in New York City, because of the threat of Hurricane Sandy. The event was due to take place in New York City, on a waterfront pier that's now become part of an evacuation zone. Google stated: "We are cancelling our Monday morning event in New York due to Hurricane Sandy. We will let you know our plans as soon as we know more." The event was expected to launch LG's Nexus 4 smart phone and Nexus 10 tablet. Meanwhile, Facebook has also postponed two events due to be held this week in New York City. Hurricane Sandy is expected to make its way inland across the US tonight, and New York Mayor Michael Bloomberg has already ordered the evacuation of 375,000 people in low-lying areas of lower Manhattan, Brooklyn and Queens. British Airways has grounded all its flights to and from the US Eastern seaboard, including New York, Baltimore, Washington, Boston and Philadelphia. "Stranded in #NYC hotel room, all appointments cancelled. Picture of Ave at 8.30am - No hustle & bustle! pic.twitter.com/7EOeEcm5"